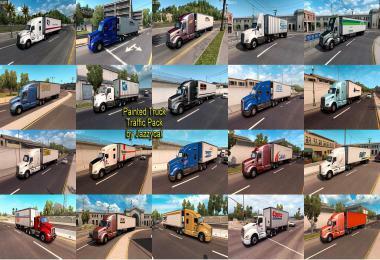 Tested on: ATS 1.28 & 1.29.x. 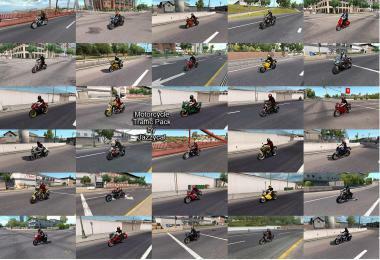 TOTALLY PROHIBITED THE USE OF THOSE MODELS ON OTHER MODS. 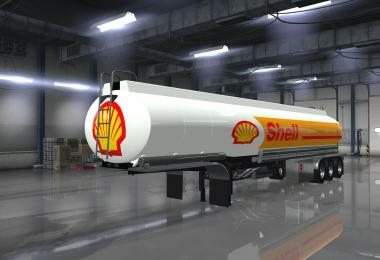 It will be completed with more models in the following versions. 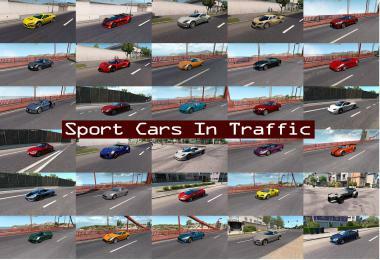 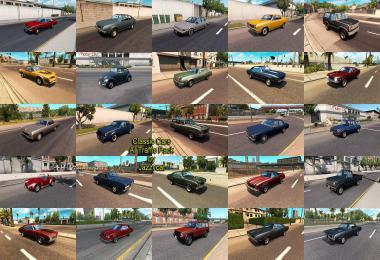 a great variety of models in traffic, getting closer to real life. MOD PROTECTED BY CREATIVE COMMONS LICENSE V4.0. 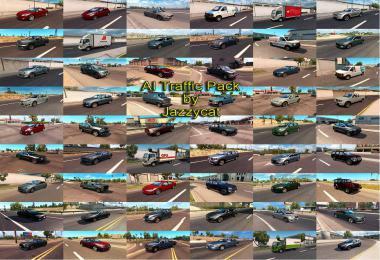 YOU CAN SHARE FREELY BUT ONLY USING THE ORIGINAL LINKS. 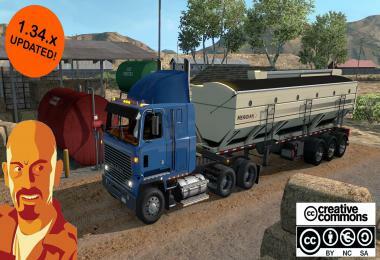 UPLOAD THE FILES TO OTHER SERVERS IS NOT PERMITTED. 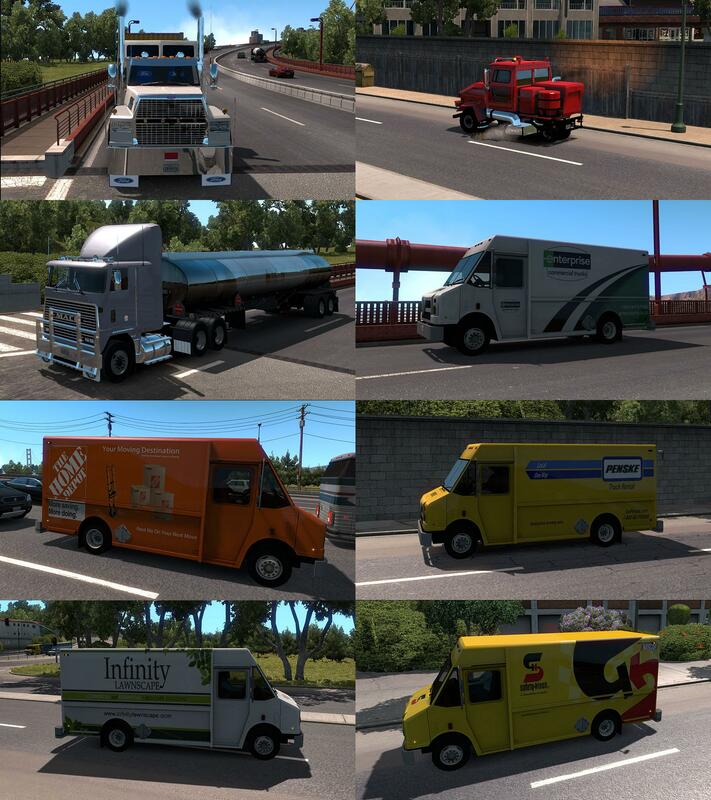 SUBSCRIBE TO MY YOUTUBE CHANNEL TO BE UPDATED ON NEW MODS! 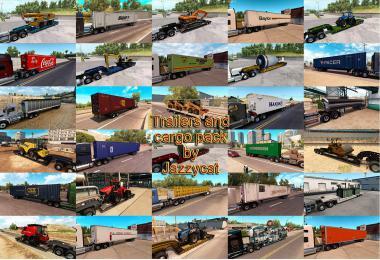 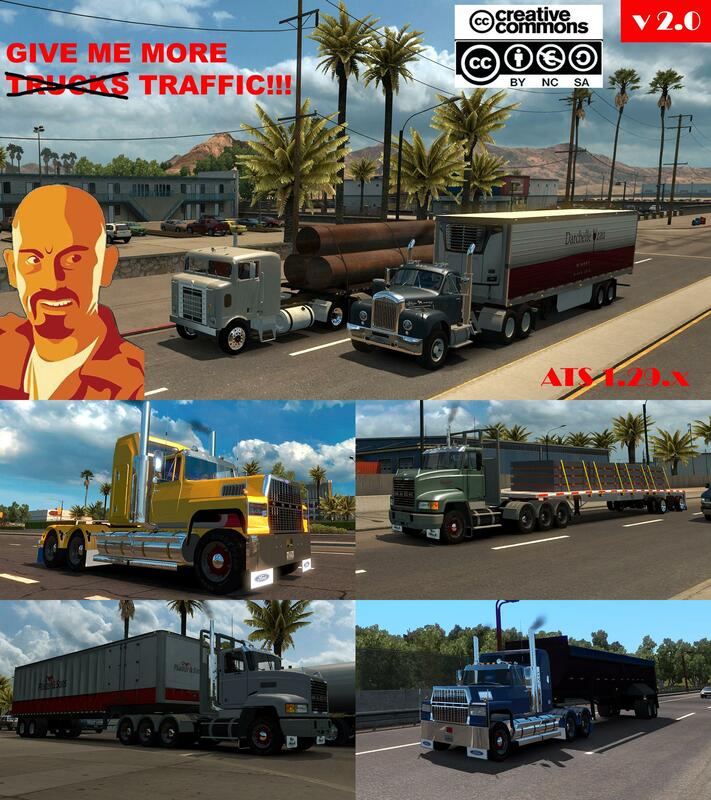 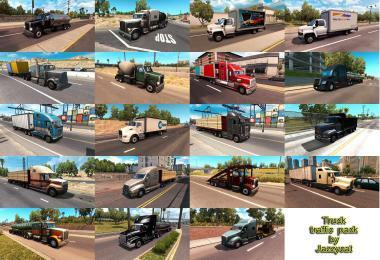 Credits: CyrusTheVirus (This traffic mod); Elaman, Gazila, Fenix (Mack Ultraliner for ETS2); Giants software (Mack B61 for Farming Simulator); J&D modding (International Transtar II for Farming Simulator); Duke (Kenworth Bullnose for Farming Simulator); Slamauser (Freightliner Cascadia for 18WOS), Blinkman, Softlab, Ventures, SCS Software, thegreatjoe (International 9800 for ETS2); BrianC (Ford LTL 9000 for ATS); NZLogger (Mack Triaxle for 18WOS); Volition INC, alkonavt96 (Urban sweeper from Saints Row III game); Mack Ultraliner NZ4 modder unknown (from 18WOS).